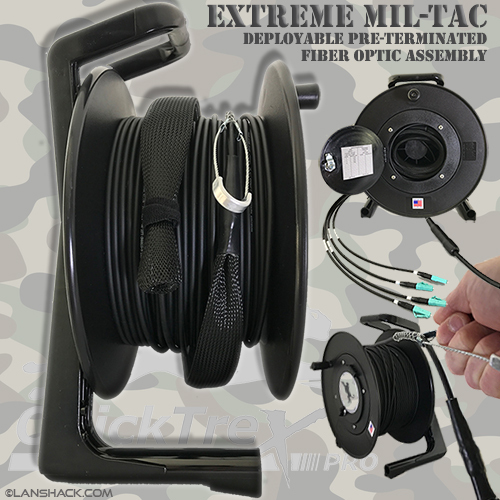 QuickTreX® Extreme Mil-Tac Deployable Pre-terminated Fiber Optic Assemblies are designed to withstand the most extreme conditions and include a double shileding of kevlar and polyurethane. The cable used for these assemblies have been tested to withstand the most extreme conditions that may take place when in the field such as heavy vehicle traffic, severe blunt force, and sharp bends. 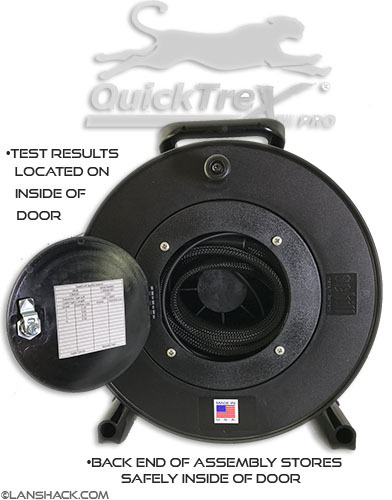 They are perfect for deploying a temporary network used for military test result gathering, military camps, or for satellite communications. These assemblies are also pefect for the mining, drilling, and other silimar extreme industrial work locations. 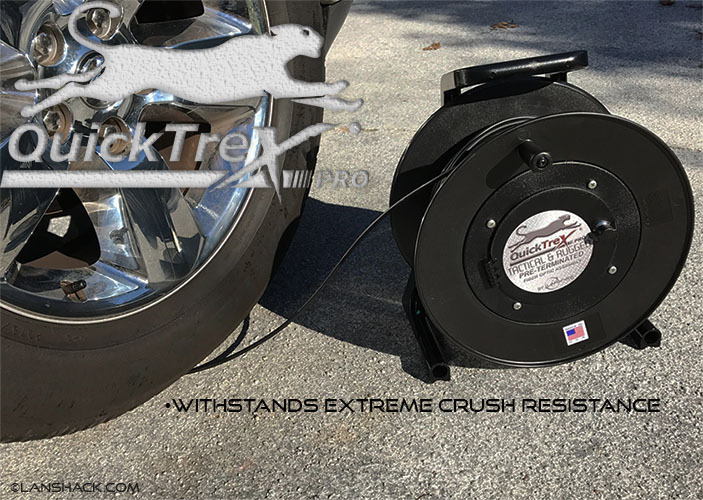 Our tactical ssemblies come on a super heavy duty Schill® deployment reel and are designed to be quickly deployed and retrieved. 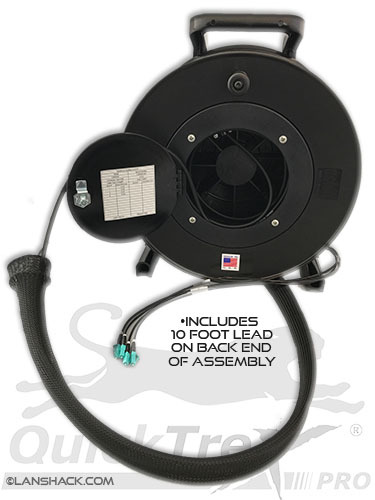 These Schill reels include a door which houses the connectors for safe and secure storage while not in use. These assemblies include military grade connectors with water resistant caps for when not in use. 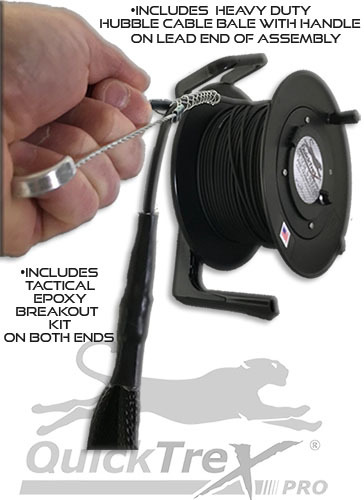 Our Mil-Tac assemblies include a cover sleeve and Hubble® wire mesh handle on the pull end of the assembly which allows for fast deployment while also protecting the connectors from damage. 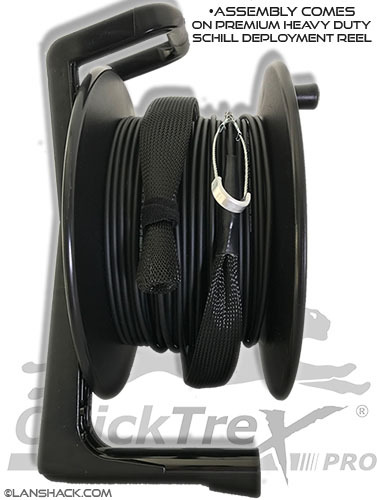 This tactical fiber is commonly used for deployment situations where the fiber needs to be deployed fast and reeled back up when done. 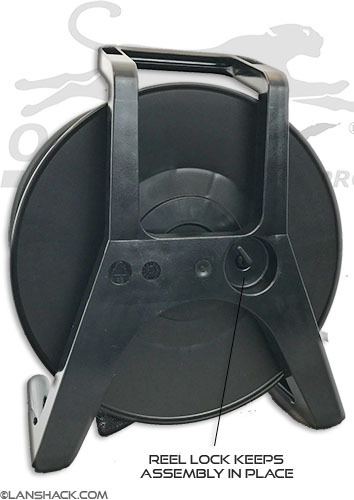 This is why we recommend using one of the Schill Reel options for your tactical assembly. We have four different options depending on the lenght of your assembly. 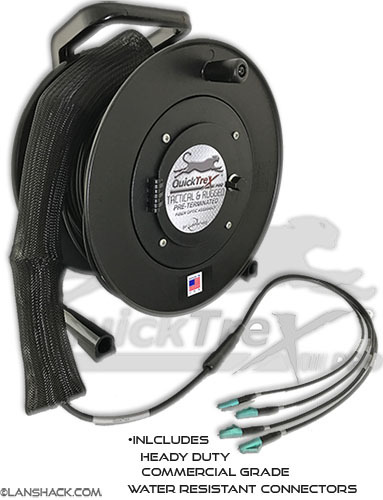 Please choose the correct one per the length of your fiber because each reel is sized to hold a certain length. 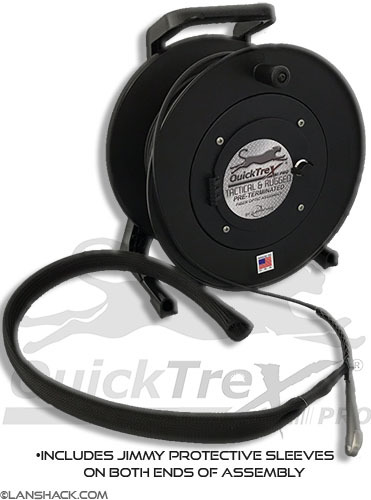 We also have a no reel option for shorter lengths, and a basic shipping spool for situations where a deployment reel isn't needed.